Rural areas actually have vast potential for economic growth pegged to food production and related sectors, according to The State of Food and Agriculture 2017 report. And with the majority of the world’s poor and hungry living in these areas, achieving the 2030 development agenda will hinge on unlocking that oft-neglected potential, it adds. 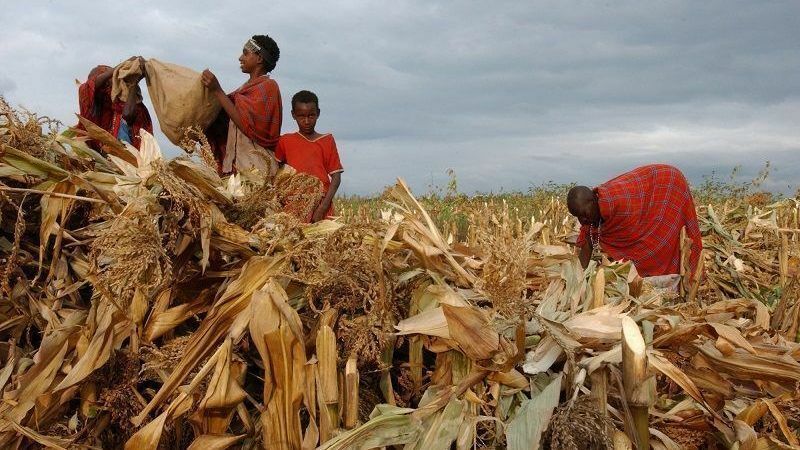 Doing so will require overcoming a thorny combination of low productivity in subsistence agriculture, limited scope for industrialisation in many places, and rapid population growth and urbanisation – all of which pose challenges to developing nations’ capacity to feed and employ their citizens. There is ample evidence that changes to rural economies can have a major impact. Transformations of rural economies have been credited with helping hundreds of millions of rural people lift themselves up out of poverty since the 1990s, the report noted. However,that progress has been patchy, and demographic growth is raising the stakes. Between 2015 and 2030, the ranks of people aged 15–24 years are expected to rise by about 100 million, to 1.3 billion. Almost all that increase will take place in sub-Saharan Africa — the lion’s share of it in rural zones. Almost 88% of the ?’s #youth live in developing countries. But in many developing countries – most notably in South Asia and sub-Saharan Africa – growth in the industrial and service sectors has lagged, and they will not be able to absorb the massive numbers of new job seekers set to enter the workforce. Nor will agriculture – in its current form. So rural people who relocate to cities will likely run a greater risk of joining the ranks of the urban poor, instead of finding a pathway out of poverty. Others will need to look for employment elsewhere, leading to seasonal – or permanent – migration. This is why targeting policy support and investment to rural areas to build vibrant food systems and supporting agro-industries that are well connected to urban zones — especially small and medium size cities — will create employment and allow more people to stay, and thrive, in the countryside represents a strategic intervention, today’s report says. How urban food demand can spark rural renewal The State of Food and Agriculture makes the case that needed transformations in rural economies can be sparked by leveraging growing demand for food in urban areas to diversify food systems and generate new economic opportunities in off-farm, agriculture -related activities. This includes enterprises that process or refine, package or transport, and store, market or sell food, as well as businesses that supply production inputs such as seeds, tools and equipment, and fertilisers or provide irrigation, tilling or other services. The second is to build up the necessary infrastructure to connect rural areas and urban markets – in many developing countries the lack of rural roads, electrical power grids, storage facilities, and refrigerated transportation systems is a major bottleneck for farmers seeking to take advantage of urban demand for fresh fruit, vegetables, meat and dairy. Indeed, the report stresses that smaller urban centres represent a much overlooked market for food. In 1960, 22% of the population in developing countries (460 million people) lived in cities and towns. By 2015, that reached 49% (3 billion people). In developing countries most urban areas are relatively small – about 50% of the total urban population, or 1.45 billion people, live in cities and towns of 500 000 inhabitants or fewer.